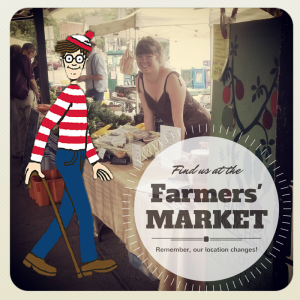 Finding us at Farmers Market won’t be like “Where’s Waldo” any more! Well we made it! 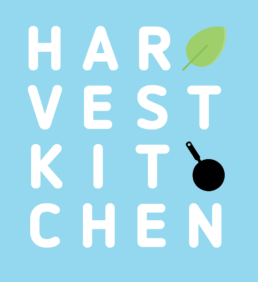 Harvest Kitchen (after 8 years) has finally been assigned a permanent stall at the Ann Arbor Farmers Market! What does this mean? In short, it means that all spring, summer, and fall we will be in the same location every single week (in the winter we may choose to relocate to be closer to other vendors). Our stall is….#24, which is on the long aisle near Kerrytown, close to Hollanders and near where Frog Holler Farm sets up. We hope all our Farmers Market regulars will come find us there and find it more convenient than searching for us every week. Why now? That’s more complicated and relates to how stalls are assigned at the Farmers Market. Without diving into details TOO much, vendors with lower seniority do not have assigned stalls and must select from the available stalls each week. The result of this is that the vendors with lower seniority may move around quite a bit–which our Farmers Market customers may have noticed for Harvest Kitchen over the years! Although some vendors with permanent stalls may still choose to move around to “better” stalls, we plan to be in our permanent stall most weeks (knowing that vendors can and do move around is helpful when you’re searching for your faves, so keep it in mind that you can always ask in the Office to find out where a given vendor is set up). Thanks to all our customers for all your support over the years–now you’ll always know where to find us.